All around Columbia there are several ways to stay busy going to exciting events such as the Carolina State Fair, the Museum of Oz, and many more. As Halloween is coming up, there are also many spooky Halloween events such as the Hall of Horrors: Xperiment 13, Halloween at the Park, and Boo at the Zoo. Through October 20 – “Do Not Resist” at the Nickelodeon Theater. Beginning on the streets of Ferguson, MO, the author offers a stunning look at the current state of policing in America and provides a glimpse into the future. For more information call (803) 254-3433 or visit http://nickelodeon.org/films/do-not-resist/. Through October 23 – Subversive Arts Festival Extravaganza at the Tapps Art Center. Experience poetry, music, dance, visual art, and resistance. For more information call (803) 988-0013 or visit http://www.tappsartscenter.com/event/the-subversive-art-festival-extravaganza-s-a-f-e/. Through October 23 – South Carolina State Fair at the State Fairgrounds. Our wonderful State fair is back again and this year is filled with rides, agriculture shows, exhibits, games, a BMX stunt show, acrobats, sand sculptures, and live entertainment by Lynyrd Skynyrd, Dustin Lynch, Alabama, For King and Country, Aloe Blacc, and Kirk Franklin and so much more! For more information visit https://www.scstatefair.org/. Through October 31 – Hall of Horrors: Xperiment 13 on Walter Price Street in Cayce. It’s back again and scarier than ever! For more information call (803) 814-5858 or visit http://www.hallofhorrors.com/home. Through November 4 – Museum of Oz at the South Carolina State Museum. Follow the yellow brick road through the Museum to Munchkinland and more. You can also visit the 4D theater and experience the show as never before! For more information call (803) 898-4948 or visit http://scmuseum.org/museum-of-oz/. Through November 5 – “The Rocky Horror Picture Show” at the Trustus Theatre. It’s back so prepare to do the “Time Warp Again” with this fun & interactive theatrical presentation. For more information call (803) 254-9732 ext. 1 or visit https://trustus.org/event/the-rocky-horror-show/. October 20 – 23 – “Drowsy Chaperone” at the Palmetto Center for the Arts at Richland Northeast High School. This 5 time Tony Award winning jazz musical is filled to the brim with song and dance and is guaranteed to entertain you. For more information call (803) 699-2800 ext. 79725 or visit http://www.districtauditorium.org/. October 20 – “The Land” at the Nickelodeon Theater. This is a story of four teenagers who devote their summer to leaving Cleveland, OH in pursuit of a dream life of professional skateboarding. For more information call (803) 254-3433 or visit http://nickelodeon.org/films/the-land/. October 20 – Bluegrass, Bidding, and BBQ at the Robert Mills House. This event will provide you with live music by “The Mustache Brothers”, terrific silent auction items including trips to historic destinations around the southeast, and great BBQ and other delicious food. For more information call (803) 252-1770 or visit http://www.historiccolumbia.org/bbq. October 21 – “Rubberband” at the Village at Sandhills. Fill you evening with live entertainment and dancing! For more information visit http://villageatsandhillonline.com/events/pdf/2016/VASFallConcertSchedule.pdf. October 21 – Halloween at the Park at Crooked Creek Park in Chapin. Kids will enjoy trick or treating on the trail through the park, as well as carnival games, a costume contest, a scream contest, and after all of this, end the evening with the movie, “It’s The Great Pumpkin Charlie Brown.” For more information call (803) 345-6181 or visit http://www.icrc.net/halloween-at-the-park-2016-10-21. October 21 – Twilight Trek: Spooktacular at Riverbanks Zoo and Gardens. This special evening will provide you with dinner, admission to the zoo, and zoo-keeper lead tours to introduce you to the animals that prefer to be active when it’s dark. For more information call (803) 879-8717 or visit https://www.riverbanks.org/calendar.shtml. October 21 – 23, 28 – 31 – Gilbert House of Terror at 739 Harley Taylor Road in Gilbert. This traditional outdoor haunt will provide you with 13 terror filled scenes, and lots of fun! For more information call (803) 892-5396 or visit http://www.gilberthouseofterror.com/. October 21 – 27 – “Denial” at the Nickelodeon Theater. An acclaimed writer and historian battles to prove the Holocaust actually occurred when she is sued for libel by a renowned denier. For more information call (803) 254-3433 or visit http://nickelodeon.org/films/denial/. October 21 – 29 – Disturbia Down South Haunted Attraction at 2601 Hwy. 6 (behind Nicoles Pub) in Gaston. This outdoor haunted attraction will take you through the woods and is guaranteed to provide you with a tremendous Halloween fright! For more information call (803) 580-1110 or visit https://www.facebook.com/disturbiadownsouthsc.81/. October 21 – 30 – Boo at the Zoo at the Riverbanks Zoo and Gardens. Kids will enjoy trick-or-treating, a Moonlight magic show, Frankenstein’s Foam Zone, a Spooky Safari, a marshmallow roast and more! 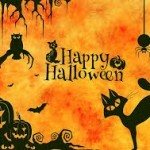 For more information call (803) 779-8717 or visit http://www.riverbanks.org/events/boo-at-the-zoo.shtml. October 22 – Pancakes and Family Hike at the Peak to Prosperity Passage of the Palmetto Trail. Enjoy breakfast and a hike on this beautiful passage of the Palmetto Trail! For more information call (803) 771-0870 or visit http://palmettoconservation.org/event/hike-it-baby/. October 22 – Masquerade Fashion Show at the Columbia Chamber of Commerce. Enjoy an evening of fun and fashion and feel free to bring your own mask. For more information visit https://www.eventbrite.com/e/masquerade-fashion-show-tickets-27655513385. October 22 – Fire Prevention Day at the EdVenture Children’s Museum. Kids will have the opportunity to hop aboard a real fire truck and learn through a puppet show and a live burn demonstration outside the museum to help kids learn the importance of fire safety. For more information call (803) 779-3100 or visit http://www.edventure.org/events/fire-prevention-day/?for=10-22-2016. October 22 – Stage Make-Up at the Village Square Theater. Learn the basics of stage make-up application to include standard, old age, and fantasy, and then practice on other participants. For ages 12 years old and up. For more information call (803) 359-1436 or visit https://www.facebook.com/events/1381221815227725. October 22 – Lake Carolina Wine and Food Festival at the Lake House at Lake Carolina. Enjoy wine sampling, craft beer tasting, delicious food, cooking demonstrations by local chefs, and live entertainment. For more information visit https://www.eventbrite.com/e/lake-carolina-wine-food-festival-tickets-27578583285?aff=ebapi. October 22 – Guided Walking Tour: Civil War Battle of Congaree Creek at the Cayce Tennis Center on Fort Congaree Trail in Cayce. This tour about the 1865 battle will include military and civilian accounts of what happened during the burning of Columbia. For more information call (803) 765-2200 or visit https://www.koikonfait.com/event/57fa0e8a0cdaab2fcf766a41/guided-walking-tours-12-000-year-history-park-on-congaree-creek. October 22 – Walk for Life and Famously Hot Pink Half Marathon at Spirit Communications Park. Enjoy a 3.1 mile walk or a 10K or 5K run to raise awareness for breast cancer! For more information call (803) 434-2898 or visit http://events.palmettohealthfoundation.org/site/TR/Events/General?pg=entry&fr_id=1090. October 22 – “Southern Bass Reunion: Homecoming Edition with 69 Boyz and Friends” at the Music Farm. Enjoy an evening of rap/hip hop with this fantastic group! For more information visit http://www.musicfarm.com/event/1291811-hot-1039-939-southern-bass-columbia/. October 22 – Guided Walking Tour: Native American Lifeways at the Cayce Tennis Center on Fort Congaree Trail in Cayce. This tour will provide you with interesting insights on the lifeways and strategic roles the Native Americans played in the economy and welfare of the Colony and later periods. For more information call (803) 765-2200 or visit https://www.koikonfait.com/event/57fa0e8a0cdaab2fcf766a41/guided-walking-tours-12-000-year-history-park-on-congaree-creek. October 23 – Bags, Brews, and BBQ at the River Rat Brewery. This United Way fundraiser will include a variety of craft brews, an awesome BBQ lunch, a corn hole tournament, and a raffle. For more information call (803) 254-5800 or visit http://www.bagsbrewsbbq.com/. October 23 – Out of the Darkness Community Walk at Boyd Plaza on Main Street to the State House. The walk is a walk in remembrance of those who have committed suicide, and to create awareness about suicide prevention, with the event ending back at the Boyd Plaza for refreshments, music, activities, and a dove release. For more information call (803) 640-7211 or visit http://afsp.donordrive.com/index.cfm?fuseaction=donordrive.event&eventID=3914. October 23 – Buddy Walk at Saluda Shoals Park. In honor of National Down Syndrome Awareness Month, Family Connections is putting on this event in honor of and to raise awareness for those with Down syndrome, with the event including lots of fun entertainment and food. For more information call (803) 451-6189 or visit http://www.familyconnectionsc.org/event/buddy-walk-columbia/?rq=buddy%20walk. October 23 – Gervais Street Bridge Dinner on the Gervais Street Bridge. This dinner was begun in honor of the first responders during the flood of 2015 and to honor those in blue, on a major icon of the area and above the powerful water source that supplies the city, with proceeds from the event going to 4 different charities in the area. For more information visit http://gervaisstreetbridgedinner.com/. October 25 – “Glitches and Ghosts: An Evening with Evan Meaney” at the Nickelodeon Theater. The evening will consist of screening several of his works and with conversation in between. For more information call (803) 254-3433 or visit http://nickelodeon.org/events/glitches-ghosts-an-evening-with-evan-meaney/. October 25 – Bat Walk at Riverfront Park. In honor of National Bat Week, take a walk and learn about these amazing and secretive animals, and learn about the importance of bat conservation. For more information call (803) 545-3100 or visit http://www.columbiasc.net/calendar/2189. October 25 – “Lecrae: The Destination Tour” at the Music Farm. His recent album just released made it to the top of the charts in both Gospel and Billboard charts, so you don’t want to miss this great rapper! For more information visit http://www.musicfarm.com/event/1316069-lecrae-destination-tour-columbia/. October 27 – Light the Night at the State House. Enjoy an evening of food, festivities and fun while helping raise money and awareness of blood cancer. For more information call (803) 576-4384 or visit http://pages.lightthenight.org/sc/ColumbSC16. October 27 – Growl at the Moon at the South Carolina State Museum. Enjoy an after-hours Halloween Party with great BBQ, craft beer, live music, and more so put on your costume and head to the museum for a growling good time! For more information call (803) 898-4921 or visit http://scmuseum.org/events/growl-at-the-moon. October 27 – Lorick Park’s Haunted House and Candy Carnival at Lorick Park. Enjoy a reptile show, a haunted house, music, refreshments, a costume contest, and carnival games. Free admission with one canned food item. For more information call (803) 691-9339 or visit http://www.columbiasc.net/calendar/2170. October 27 – “Fritt Vilt (Cold Prey)” at the Nickelodeon Theater. Enjoy this scary tale of five friends on a snowboarding vacation who take refuge in an abandoned hotel that isn’t as abandoned as they think. (This is part of a double feature.) For more information call (803) 254-3433 or visit http://nickelodeon.org/films/fritt-vilt-cold-prey/. October 27 – “The Decent” at the Nickelodeon Theater. The second in a double feature, you’ll experience the story of a group of close female friends on an adventure vacation when they find themselves hunted by something that lurks in the shadows. For more information call (803) 254-3433 or visit http://nickelodeon.org/films/the-descent/. October 27 – 29 – “Dracula: Ballet with a Bite” at the Koger Center for the Arts. This annual favorite ballet, based on the classic book by Bram Stoker, will provide you with blood, fangs and death to help you celebrate the holiday! For more information call (803) 777-5112 or visit http://www.kogercenterforthearts.com/event.php?id=258. October 28 – “Finesse Band” at the Village at Sandhills. Enjoy a fall evening with live entertainment and good fellowship! For more information visit http://villageatsandhillonline.com/events/pdf/2016/VASFallConcertSchedule.pdf. October 28 – Halloween Celebration at Edisto Park Discovery Center. This event for kids younger than 10 will provide them with fun and sweet treats! For more information call (803) 255-8183 or visit http://www.columbiasc.net/calendar/2171. October 28 – Halloween Party at St. Anna’s Park. Kids 13 years old or younger will enjoy games, refreshments, music, and school supply giveaways. For more information call (803) 733-8450 or visit http://www.columbiasc.net/calendar/2181. October 28 – Fall Carnival at Pinehurst Park. Kids 10 years and younger will enjoy face painting, games, and refreshments. 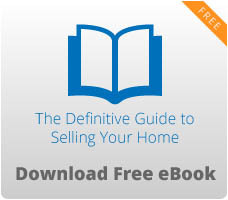 For more information call (803) 733-8449 or visit http://www.columbiasc.net/calendar/2179. October 28 – Halloween Party at Sims Park. Kids 10 or younger will enjoy a Halloween party with a costume contest and refreshments. For more information call (803) 733-8451 or visit http://www.columbiasc.net/calendar/2180. October 28 – Trunk or Treat at the Robert Mills House. Put on your costumes and come out for this fun event where children will find trunks filled with candy and they even get to participate in the costume contest! ** For those wishing to provide a trunk full of treats to hand out, see the website to register your vehicle as the more cars participating, the more fun for the kids, and there will even be a contest for the best decorated trunk! ** For more information call (803) 252-1770 or visit http://www.historiccolumbia.org/events/trunk-or-treat. October 28 – Halloween Carnival at Hampton Park. There will be carnival games, popcorn and candy for kids 13 years old and younger. For more information call (803) 776-9082 or visit http://www.columbiasc.net/calendar/2175. October 28 – Halloween Party at Greenview Park. This event open to all ages will include games, a costume contest, refreshments, and more! For more information call (803) 754-5223 or visit http://www.columbiasc.net/calendar/2174. October 28 – Halloween Carnival at Woodlands Park. Kids 10 years old or younger will enjoy games, treats, and lots of fun! For more information call (803) 776-1096 or visit http://www.columbiasc.net/calendar/2182. October 28 – Annual Halloween Costume Explosion at the Music Farm. Enjoy lots of live music, a costume contest, and a dance party! For more information visit http://www.musicfarm.com/event/1294737-sid-nancys-5th-annual-columbia/. October 28 – November 1 – “Operation Troop Treats” Halloween Candy Exchange at Kool Smiles on Forest Drive. For every 25 pieces of candy you give you can receive a toy, with the candy being sent overseas to men and women serving in the armed forces. For more information call (803) 753-1160 or visit https://www.mykoolsmiles.com/trooptreats. October 29 – Pumpkin Run 5K at the Northwest Columbia YMCA in Irmo. This is a 5K walk/run that will include a kid’s fun run, with the proceeds benefiting the YMCA’s Annual Campaign that supports programs such as the one that will assist volunteers in improving neighborhoods, the wellness initiative, and scholarships and financial assist for those wishing to learn to swim. For more information call (803) 748-9622 ext. 130 or visit http://www.racesonline.com/events/ymca-pumpkin-run-5k. October 29 – Halloween Zumbathon at Seven Oaks Park. Come out and dance to help raise money for the Irmo Chapin Recreation Centers Meals on Wheels program. For more information call (803) 772-3336 or visit http://www.icrc.net/halloween-zumbathon-2016-10-29. October 29 – Guided Walking Tour: Native American Lifeways Evening Lantern Tour at the Cayce Tennis Center in Cayce. This tour will provide you with insights into the lifeways and strategic roles the Native Americans played in the economy and welfare of the Colony and later periods in the area. For more information call (803) 765-2200 or visit https://www.koikonfait.com/event/57fa0e8a0cdaab2fcf766a41/guided-walking-tours-12-000-year-history-park-on-congaree-creek. October 29 – “Anthony Hamilton” at the Township Auditorium. This Grammy award winning singer is guaranteed to provide you with an evening of great entertainment. For more information call (803) 576-2350 or visit http://www.thetownship.org/events/. October 30 – The Blocking Dead at Skate Station. This roller derby event is provided by the Columbia Junior Rollers with roller derby, a candy toss for the kids, gift basket giveaway, and a costume contest. For more information call (803) 665-2765. October 30 – “Sabena Hijacking: My Version” at the Nickelodeon Theater. Experience harrowing testimonies and reenactments in this true story that forever impacted the Jewish State. For more information call (803) 254-3433 or visit http://nickelodeon.org/films/sabena-hijacking-my-version/. October 31 – Halloween in Five Points on Saluda Avenue. Kids will have the chance to trick-or-treat with vendors in the area. For more information call (803) 748-7373 or visit http://fivepointscolumbia.com/events/halloween-in-five-points. October 31 – Trunk or Treat Safe Zone at Quaker Steak and Lube on Spears Creek Road. Richland County Fire Department, Sheriff’s Department, Top Quality Rydaz AC, and Quaker Steak and Lube have come together to provide a safe place for kids to come trick or treat, with lots of treats and prizes, a costume contest, and the adult best trunk contest. For more information visit https://www.facebook.com/events/1240208062710367/. November 1 – “Remember” at the Nickelodeon Theater. With assistance from a fellow Auschwitz survivor and a letter, a man with dementia goes on a quest to find out who is responsible for the death of his family. For more information call (803) 254-3433 or visit http://nickelodeon.org/films/remember/. November 2 – 5 – “No Exit” at the Center for Performance Experiment on Devine Street. Student directed, this existentialist story is about 3 deceased people in Hell who are locked in a room and have to spend eternity together. For more information visit (803) 777-2551 or visit http://artsandsciences.sc.edu/thea/cpeseason. November 3 – “The Wizard of Oz” at the Harbison Theatre at Midlands Technical College. Kids will enjoy this famous story put on by the Irmo Chapin Recreation Commission and their Children’s Theater program. For more information call (803) 772-1228 or visit http://www.icrc.net/Data/Sites/1/media/ccp/icrc-childrens-theatre-16-17-full-season-brochure.pdf. November 3 – “A Midsummer Nights Dream” at Saluda Shoals Park. Teach kids about Shakespeare by bringing them to see this theatrical production put on by the Children’s Theater program by the Irmo Chapin Recreation Commission. For more information call (803) 772-1228 or visit http://www.icrc.net/Data/Sites/1/media/ccp/icrc-childrens-theatre-16-17-full-season-brochure.pdf. November 4 – “Trevor Hall” at the Music Farm. This amazing musician began playing the harmonica alongside his father at the age of 11, began writing his own songs and performing them in elementary school, and at 16 he recorded his first album, and his journey had only just begun! For more information visit http://www.musicfarm.com/event/1240687-trevor-hall-columbia/. November 4 – 5 – Jazz Fest at the Township Auditorium. This year’s artists will include “Boney James, Najee, Terance Young”, just to name a few! For more information call (803) 576-2350 or visit http://www.thetownship.org/events/. November 4 – 13 – “The Diary of Ann Franke” at the Village Square Theatre. See on the stage the drama of eight individuals who hid from the Nazi’s in a concealed storage attic and their day to day challenges. For more information call (803) 359-1436 or visit http://villagesquaretheatre.com/season.html. November 5 – “Octonauts Live” at the Koger Center for the Arts. 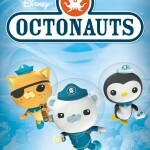 Enjoy favorite songs led by the entire Octonauts crew! For more information call (803) 777- 7500 or visit http://www.kogercenterforthearts.com/event.php?id=198. November 5 – Hemophilia of South Carolina Turkey Trot at Saluda Shoals Park. This 5K walk/run is intended to raise awareness of these horrible diseases and to benefit Harvest Hope Food Bank by asking each participant to bring at least one canned food item to donate. For more information call (803) 731-5208 or visit http://hemophiliasc.org/programs-and-events/fundraiser-events/turkey-trot/. November 5 – Christmas Craft Show and Holiday Bazaar at Lexington Middle School. Get started early on your holiday shopping and search for that one-of-a kind special gift for each person on your list and participate in the silent auction with proceeds to benefit Harvest Hope Food Bank. For more information visit http://midlandcrafters.wixsite.com/christmas-craft-show. November 5 – Guided Walking Tour: Civil War Battle at Congaree Creek at the Cayce Tennis Center in Cayce. This tour will teach you about the 1865 battle which will include military and civilian accounts of what happened during the burning of Columbia. For more information call (803) 765-2200 or visit https://www.koikonfait.com/event/57fa0e8a0cdaab2fcf766a41/guided-walking-tours-12-000-year-history-park-on-congaree-creek. November 5 – Guided Walking Tour: Colonial Fort Congaree at the Cayce Tennis Center in Cayce. This tour will focus on the story of the 1718 to 1722 frontier fort and trading post and the variety of locals and travelers who came to the area. For more information call (803) 765-2200 or visit https://www.koikonfait.com/event/57fa0e8a0cdaab2fcf766a41/guided-walking-tours-12-000-year-history-park-on-congaree-creek. November 5 – Monthly Gospel Singing at the Midlands Gospel Singing Center in Gilbert. Mercy Rain and Kindred Spirit will provide the entertainment for the evening. For more information call (803) 719-1289 or visit http://www.midgsc.com/concerts. November 5 – Pumpkin Smash at the Riverbanks Zoo and Gardens. Enjoy watching a variety of animals at the zoo as they enjoy and interact with pumpkins. For more information call (803) 779-8717 or visit https://www.riverbanks.org/calendar.shtml. November 5 – 6 – “Marlon Wayans” at the Comedy House. This fantastic comedian is guaranteed to make you laugh until you cry! For more information call (803) 798-9898 or visit http://comedyhouse.us/marlon-wayans/. November 5 – 6 – Repticon at the Jamil Temple. If you are a reptile or amphibian enthusiast or just interest in seeing a variety, you will most certainly enjoy this event. For more information visit http://repticon.com/south-carolina/columbia/.